We bring the games to you. Over 250 games to choose from. All games on FREE Play. Book your Party now for an Out of this World experience. CHECK OUT OUR STORY ON MASSLIVE.COM! 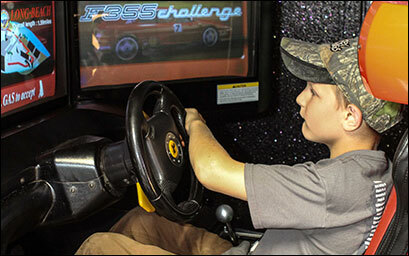 WE'RE THE LARGEST MOBILE ARCADE IN NEW ENGLAND! Are You bored with throwing the same party EVERY year with the same "bounce house" or other rental attraction? Now is your Chance to Book ARCADE ON WHEELS for your party and make your party the Talk of the Town!! Arcade on Wheels is a state of the art, climate controlled, self-powered mobile arcade. Arcade on wheels is available for your event year round! 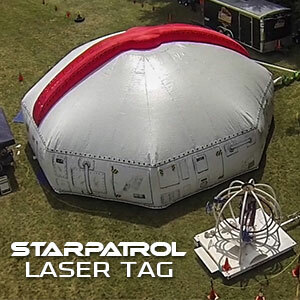 Arcade on Wheels presents "Starpatrol" Laser Tag, the most original and newest version of this popular attraction. This is the real laser tag game, featuring real laser game guns and a 40'x40'x13' high, inflatable arena setup to look like Star Trek. Up to 12 adults and children can play at one time.